Love Locks have become more and more popular over the years. 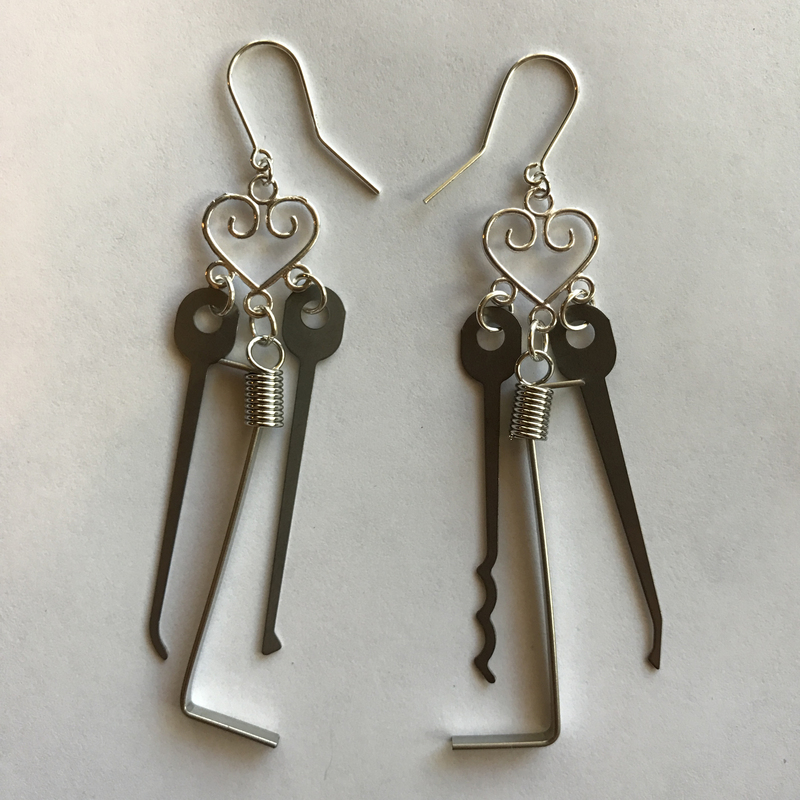 They’re also a pretty controversial topic among lockpickers, city officials, and concerned citizens. If you are unfamiliar with Love Locks, the idea is that a couple will take a padlock and write their names and sometimes a short message expressing their undying love for each other. This can be as simple as taking a sharpie to a cheap padlock or as elaborate as using a kiosk machine that will laser engrave your lettering and a photo. These locks are then taken and attached to some kind of public structure with other love locks. A simple love lock is drawn on with a marker. 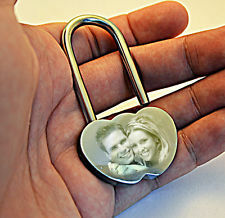 A more elaborate laser engraved love lock. Public Art or Public Damage? 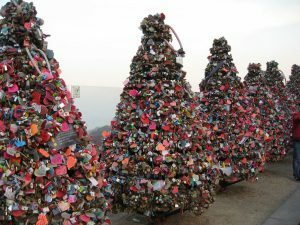 I have seen an overwhelming large display of love locks in person in Seoul, South Korea. I have to admit that my first thought was that it made for a very cool visual. This can be even cooler when the host city has installed structures that are meant for love locks to be attached to. However, the most common places for love locks to exist are fences. This can lead to big problems locks are very heavy objects and a lot of fences are not designed to bear a lot of weight. It’s not common that fences, especially ones that are integral to public safety, to collapse under the weight of the locks. Other than the damage they can cause to public property, many will argue that they deface the city they are hosted in. This can be very distracting and take away from a city’s natural and sometimes historic beauty. Love locks have also become so popular that the sheer number of them in existence is overwhelming. What once was a neat social collaboration and quickly start to look like graffiti. 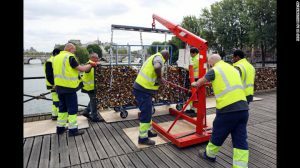 While there are many points of debate on whether cities should allow love locks, if they are public defacement, and what it means for public safety, there is a whole other debate among lockpickers on how these locks should be treated. To an avid lockpicker, love locks seem like a gold mine of quality locks. But any avid lockpicker will also always be considering the Golden Rules of Lockpicking. (To recap: 1. Never pick a lock you don’t own or have permission to pick. 2. Never pick a lock you rely on or that is in use.) Rule number one is a large controversy and is even more difficult to navigate because there are no true solid answers, just opinions. The big question is, who owns the lock? Some might argue that city owns the lock once a love lock is placed on public property. But then again, when you place your bike lock around a public structure designed for locking up your bike, you still own that lock along with your bike. It’s also been suggested that simply no one owns the lock and they are in the public domain. Whichever of these three arguments you wish to subscribe to, the bottom line is that YOU do not own the lock. By these mindsets, either the city, the person who put the lock on the structure or nobody owns the lock… not you. 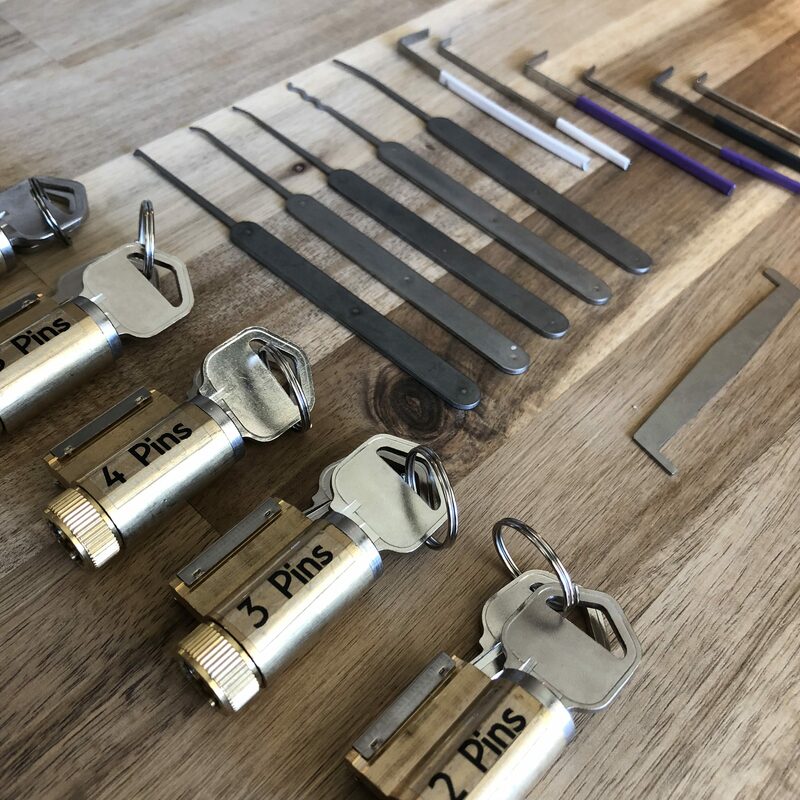 These arguments when applied to the Golden Rules of Lockpicking all fall in line with the fact that there are a lot of lockpickers out there who won’t simply go out to these locks, pick them off, and take them home. Love locks on bridges can make for artsy travel photos. These love locks have been attached to structures that are designed to bare the weight of locks. Here, a large section of fencing on a bridge has collapsed under the weight of love locks. Local government workers end up having to spend money and other resources on fixing the situation. Locks have been attached to this piece of city architecture. These love locks have turned into a swarm ready to eat up anything in their path. The big question is, who owns the lock? Some might argue that city owns the lock once a love lock is placed on public property. But then again, when you place your bike lock around a public structure designed for locking up your bike, you still own that lock along with your bike. It’s also been suggested that simply no one owns the lock and they are in the public domain. Whichever of these three arguments you wish to subscribe to, the bottom line is that YOU do not own the lock. By these mindsets, either the city, the person who put the lock on the structure or nobody owns the lock… not you. 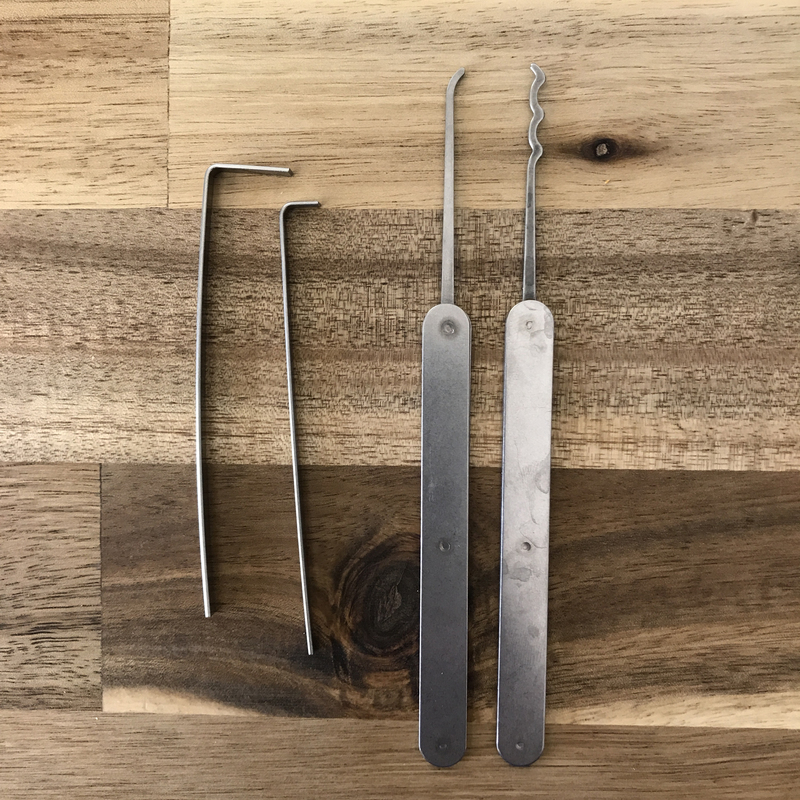 These arguments when applied to the Golden Rules of Lockpicking all fall in line with the fact that there are a lot of lockpickers out there who won’t simply go out to these locks, pick them off, and take them home. There are some locksport enthusiasts that will also argue that rule number 2 does come into play here. A lot of these locks contain personal names, messages, and as shown above, sometimes photos. This would suggest that these locks are in fact being used, just not in the traditional or common sense. 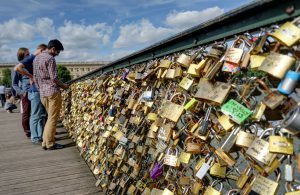 For those who view the sometimes overwhelming number of love locks, as art or form of community expression, picking these locks is a big no-no. All of this being said, common sense does tend to kick in and say, “If the city wants them gone, isn’t it easier to let lockpickers do the city a service by taking them home?” It seems like a win-win. Is it okay to bend the lockpicking ethics and pick love locks if you feel like you are bettering the city? Who gets to decide which locks stay and which go? Where is the fine line between removing love locks and removing a bicycle lock someone has left on a structure for later use? 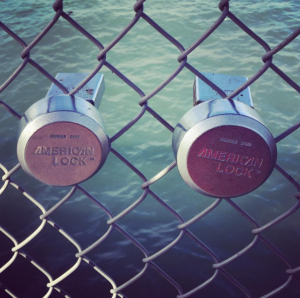 These are a pair of love locks found on the pier fence in San Francisco. These locks are estimated to cost around $40 to $50 each. 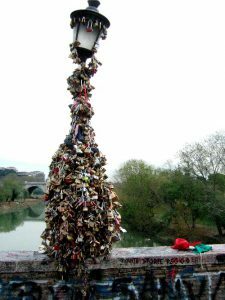 It’s important to note that a lot of love locks cannot be picked because they have been exposed to the elements for too long, rendering the lock non-functional. 1. 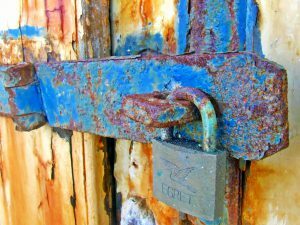 Public Locks Only – The first Golden Rule of all sportpicking is “Do not pick locks that don’t belong to you.” Thus, Love Picking can only be considered OK if you are working with locks that local ordinance would define as “abandoned property” and which therefore do not belong to anyone else. This may seem like a stretch, but what we wish to make clear is that it is NOT ok to pick locks — even “unused” Love Locks — if they are on private property or otherwise not in a public space. 2. 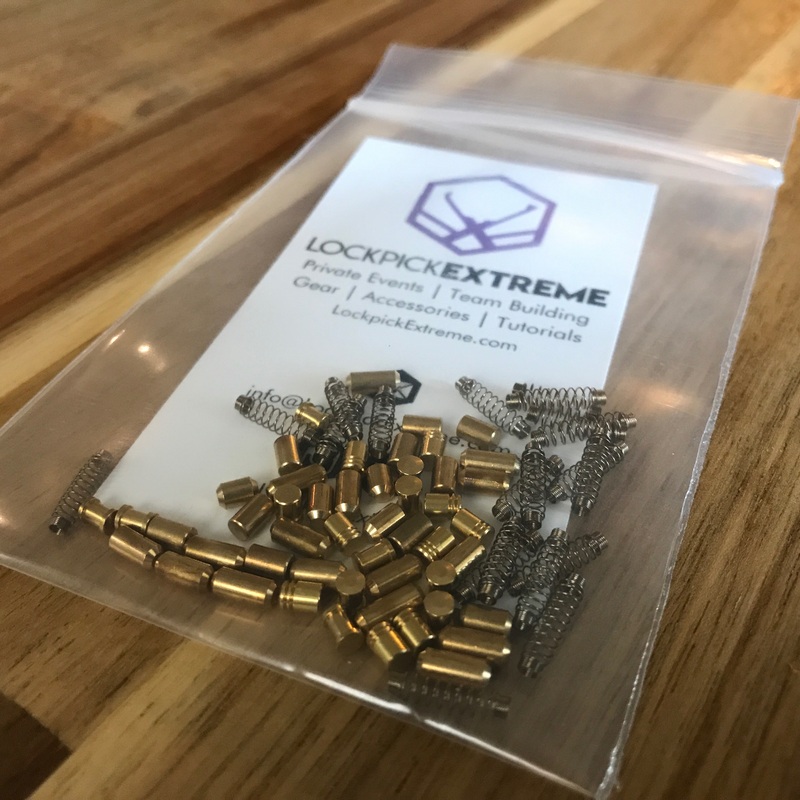 Threatened Locks Only – This takes the above principle a step farther… TOOOL finds locks beautiful and we applaud the sentiment behind Love Locks. Therefore, if any city or municipality does not take action to remove Love Locks, we feel that sport pickers should similarly refrain from opening them. We only support the picking of Love Locks in places where they are regularly cut off by work crews or maintenance teams. 3. Pick to Preserve & Display – Love Locks that are removed as part of a sportpicking outing should not sit idle in someone’s personal collection, nor should they be kept as trophies on someone’s shelf. A Love Lock, once opened by Love Picking, should ultimately be locked closed again… ideally on some other artistic structure, and one that is designed for this purpose and which will not be subject to removal. 4. Care & Kindness Trump Speed & Glory – While sportpicking competitions often feature boastful posturing and frenzied hand movements as everyone involved seeks the fastest times and the highest rank, we feel that Love Picking should be conducted with an atmosphere of casual camaraderie. 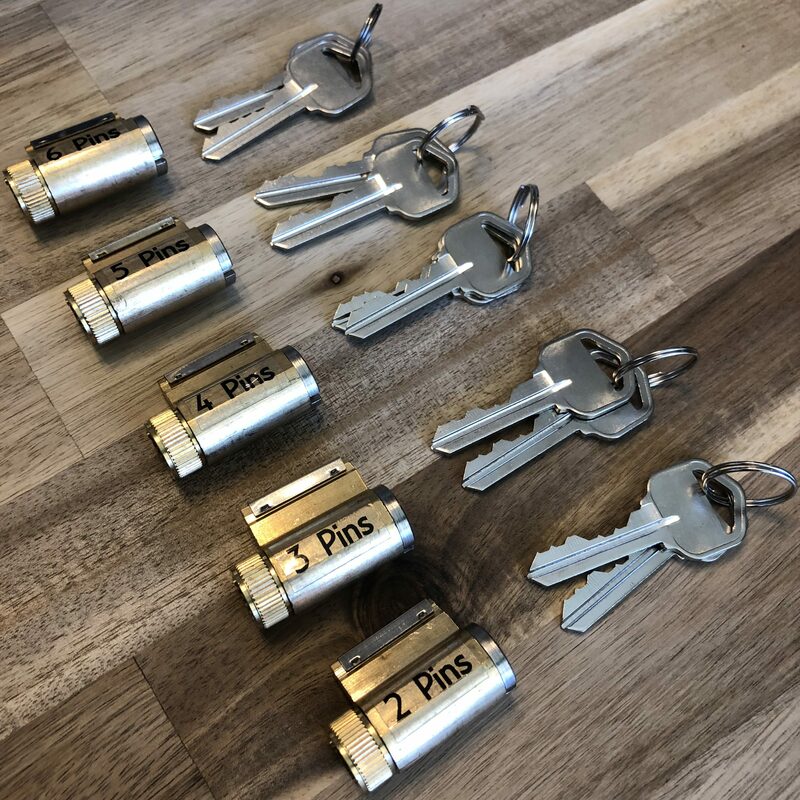 At the end of the day, measuring the total weight of the locks that have been removed may be permissible as a matter of interest… but anything to do with stopwatches, leader boards, and other features typical of events like LockCon are out of place, in our view. 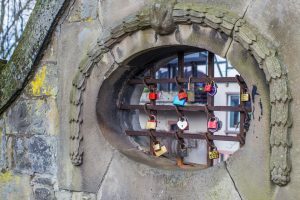 As discussed here, there are a number of factors to consider and arguments to be made when it comes to the topic of love locks. How do you feel about love locks? How do you think they should be handled? 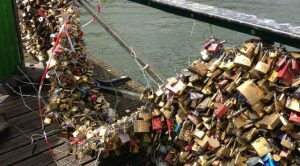 Check out a couple of other articles on love locks on The New Yorker and German lockpicker, Mey Lean Kronemann.